Tomatoes provençale, a simple dish that highlights the bounty of late summer gardens with its emphasis on fresh tomatoes, finds its way to our table almost daily in August when we buy heirloom tomatoes by the case at our local market. Tomatoes, you see, don’t do well up here at 9,000 feet. So we get our tomatoes from the market and dress them with garden herbs: anise hyssop, oregano, two kinds of parsley and sometimes basil – which is also finicky when grown in such thin air. Mostly, I put tomatoes up – as paste for homemade ketchup or as sauce, and we eat plenty fresh in tomato and cucumber salads or with purslane and lemon, but it’s this dish: tomatoes provençale that we really appreciate. While most gardens across the country hang heavy with tomatoes, my herbs are flourishing – the curly parsley and the flat-leaf parsley, three types of mint, lemon thyme and standard thyme, Mexican oregano and Greek (most of them got from Seeds of Change as part of theSowing Millions Project) – so I trim them back and reserve the trimmings for this dish where their bright flavors marry well with the rich and robust sweetness of heirloom tomatoes, ripened under the warm sun of Colorado’s western slope. 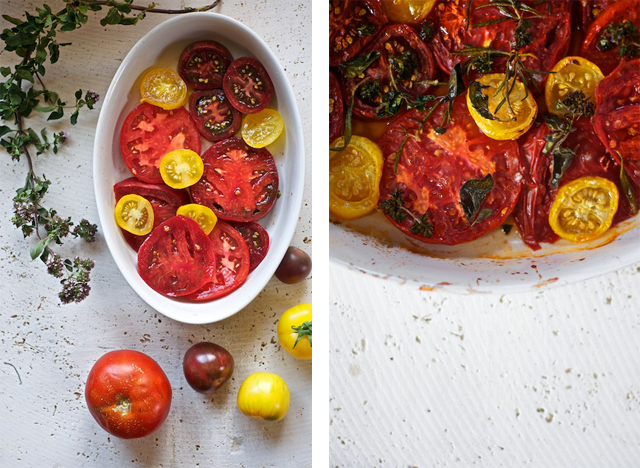 Tomatoes provençale is a lovely dish, a dish that speaks to late summer in a way few others do. And while some cooks halve tomatoes and stuff them with a concoction of breadcrumbs and cheese, I, as I invariably do, opt for the simplest preparation: sliced, sprinkled with herbs, seasoned with a good olive oil and baked – no fussy stuffings, just honest food simply done. 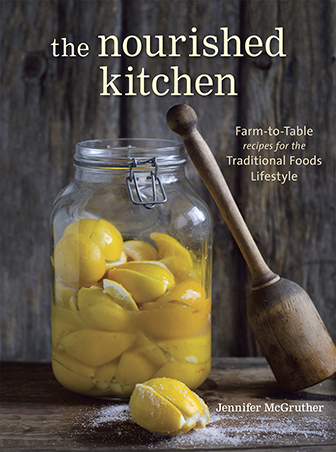 While we consume plenty of raw foods and dishes in our home – simple salads, fermented foods and of course raw milk and cheeses, I’m no fan of the raw food movement whose zealotry I oppose and which I feel lacks balance – one of the key aspects of the food philosophy here at Nourished Kitchen. 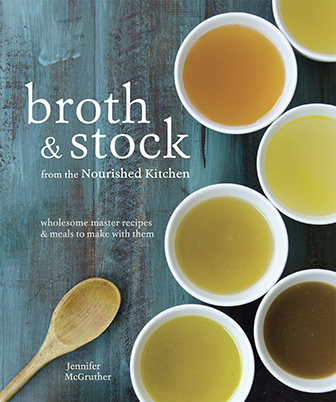 Indeed, some foods are better for you when cooked; their nutrients become more concentrated and bioavailable. Tomatoes, though we enjoy plenty fresh, number among these foods. Lycopene, a carotenoid, is a strong antioxidant which has shown promise in fighting prostate cancer as well as preventing the oxidization of cholesterol and thereby fighting atherosclerosis is more bioavailable when cooked, and, like most caroteneoids, your body also absorbs it better when you pair it with a good quality fat – which is why you should alwaysbutter your vegetables. In tomatoes provençale, we pair lycopene-rich tomatoes with a good quality olive oil – one that provides not only the nourishment of phytonutrients and fat-soluble vitamin E, but also unsurpassed flavor. While you can get extra virgin olive oil in any supermarket in the country, they will pale in both flavor and nutrients when compared to an artisanal oil. As if flavor were not enough to steer you to a good olive oil, keep in mind that many commercially available olive oils that sit on your store’s shelves are tainted. You pay top dollar for extra virgin olive oil, and find that the U.S. has been a dumping ground for cheap oils for years, and that many of the commercially available olive oils are sold by unscrupulous middlemen who stretch olive oil with cheaper, genetically modified canola oil. For this reason, I typically purchase my olive oil online (see sources) from generational family farms practicing sustainable farming techniques – from growers who take pride in how their olive groves are cared for and how their oil is produced. Moreover, this allows me to purchase unfiltered and unrefined olive oils – something not typically sold in stores. And these unrefined olive oils retain a greater level of antioxidants including vitamin E which helps to mitigate oxidative stress and thereby reduce risk of several chronic diseases. 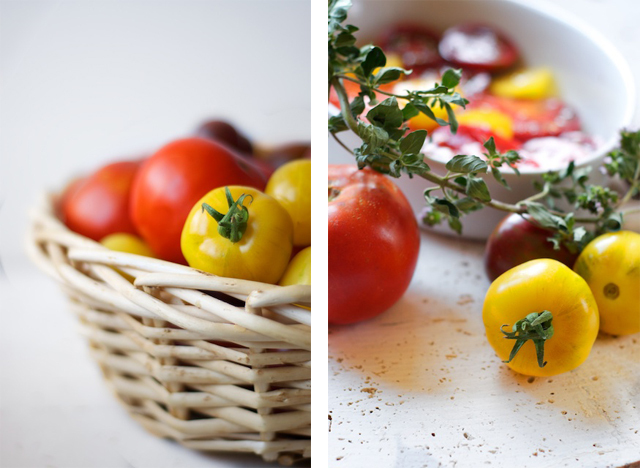 So enjoy this recipe for tomatoes provencale and treat those fresh and beautiful tomatoes right by dousing them with a good quality olive oil. Tomatoes provençale, a simple dish that highlights the bounty of late summer gardens with its emphasis on fresh tomatoes. Layer tomatoes in the bottom of a cast-iron or enameled cast-iron skillet, sprinkle with minced shallot, fresh herbs, unrefined sea salt and ground black pepper. Drizzle with olive oil and bake in an oven preheated to 425 degrees Fahrenheit for ten to fifteen minutes. also how do you eat your Tomatoes Provencal do you eat them over rice or just alone as they are?